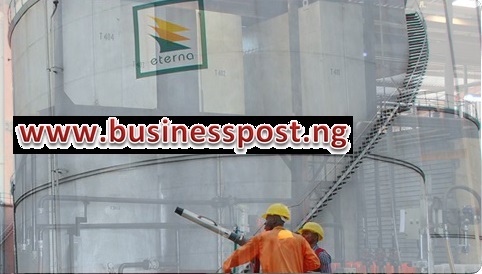 At the 24th Annual General Meeting (AGM) of Eterna Plc held in Lagos, shareholders of the firm expressed their satisfaction with the payment of dividend to them for last year. They said despite the unfavourable environment the petroleum products marketing firm operated in in 2016, it still endeavoured to perform well and even declared dividend to shareholders. During the meeting, the shareholders approved the payment of 30 kobo proposed by the board of company. They applauded the board of directors of Eterna Plc for steering the ship of the firm to success, assuring the board of their continued support. The 30 kobo dividend payment for last year represented 20 percent increase from what was paid to shareholders in 2015. Speaking at the AGM, Chairman of Eterna Plc, Mr Lamis Dikko, assured the shareholders of better years ahead. He informed them that the strong performance of the firm last year was as a result of implementation of some strategies by the management. Mr Dikko told the shareholders that during the year, Eterna Plc’s pre-tax tax rose from N1.3 billion in 2015 to N2.4 billion in 2016. In addition, according to him, the post-tax profit of the company progressed from N1.278 billion in 2015 to N1.477 billion. He added that during the period under review, the company achieved consolidated revenue of N106.9 billion in contrast to N92.06 billion in 2015.